Since we’ve been reaching out to people to get involved on Instagram we’ve been inundated with lovely pictures of home across the world – how lucky are we! As I was looking through earlier this week one set of images really caught my eye and I quickly jumped onto Instagram to take a look at the account. Since then I’ve found myself checking back to look again and again, getting my little fix of the beautiful interior of Natalie Orton’s Art Deco home. 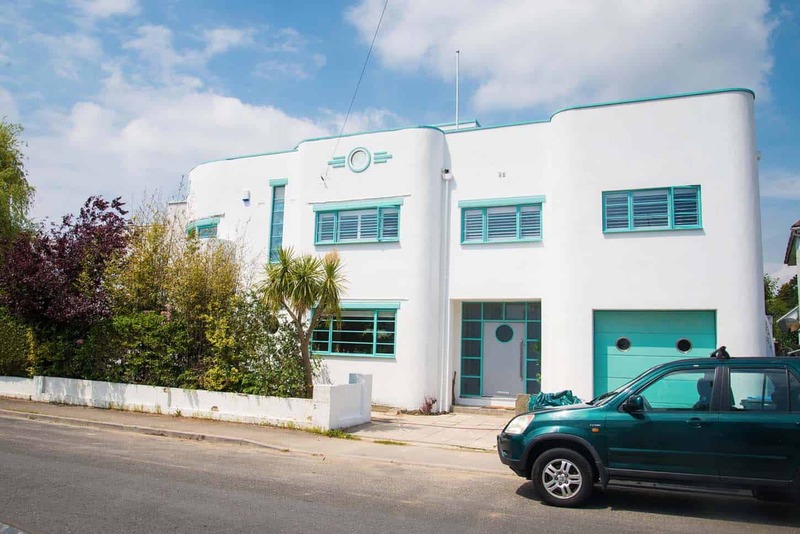 Natalie bought the art deco house by the sea fourteen years ago in a move back to Natalie’s childhood home after living and working in London. 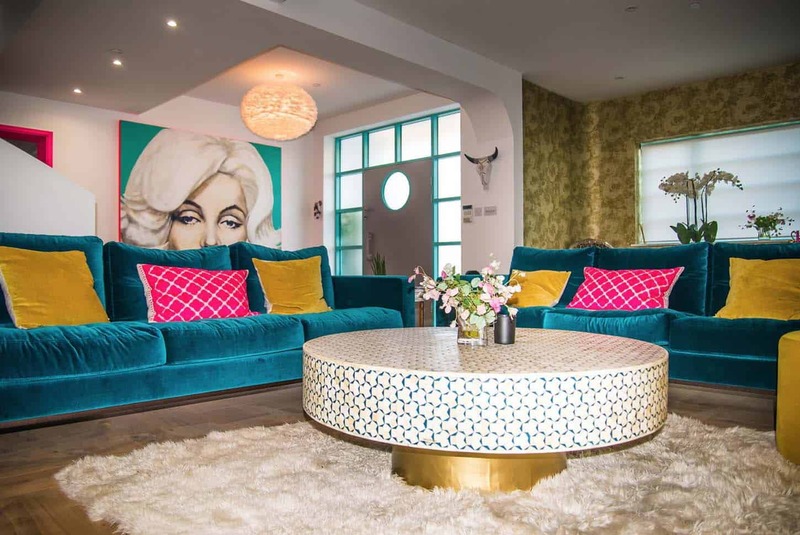 The house had an instant draw for Natalie through a passion for the Art Deco style and the great location that it offered. “When I first bought it I made some initial renovations. After 14 of living here and getting to know the house we’re getting it exactly as we want it” explains Natalie who is a mum of two, Sienna and Rudy and is a photographer by trade. Natalie’s bold style isn’t for the faint hearted. “My husband Mark is so supportive, even of the neon pink. He’s a great leveller for me as he tones me down a little” says Natalie. 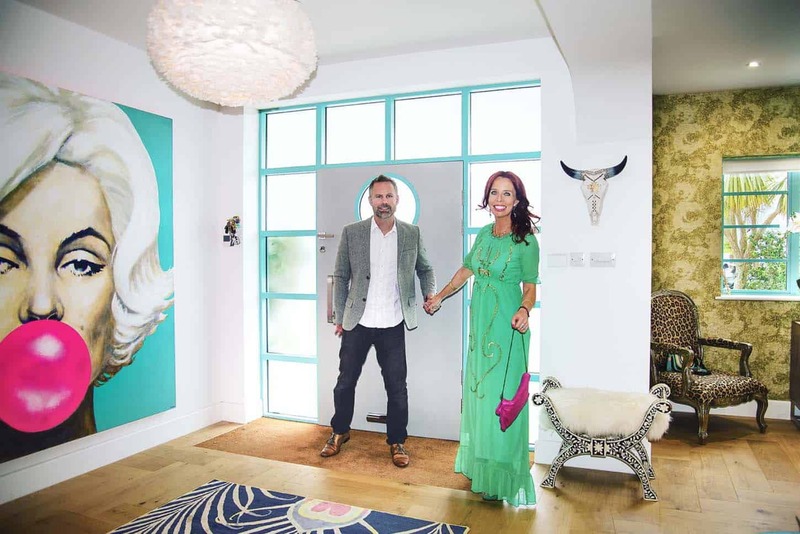 “Traditionally the rooms in an Art Deco home are a little bit pokey and that’s something we’ve had to tackle carefully in our home” says Natalie. “The house isn’t listed but it is a ‘place of interest’ which means the exterior especially cannot take much alteration”. The couple have reworked and reordered the interior to suit the needs of their family and to make it more specious. One of the biggest changes was moving the lounge to the back of the house so that they can easily see the kids in the garden and playroom. The house isn’t short of features and two of the most striking for me are the stairs and the windows. 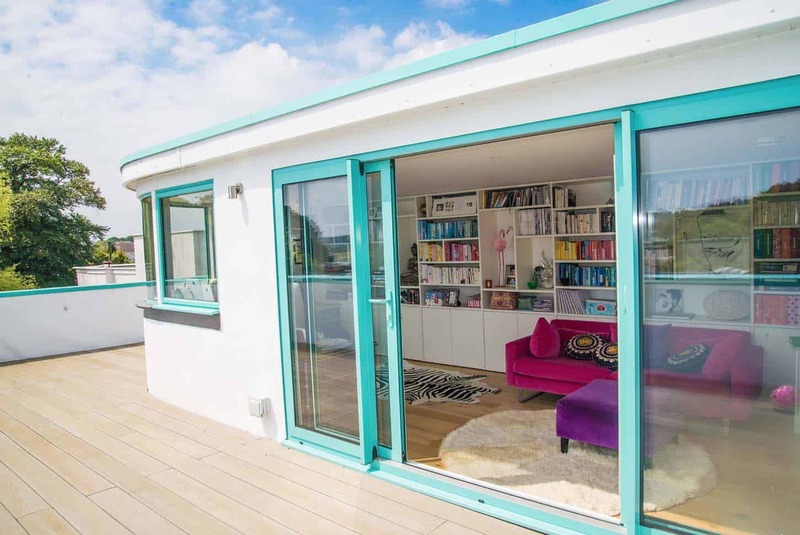 In a traditional art deco style, the windows are a striking turquoise made from aluminium with a crittal look. 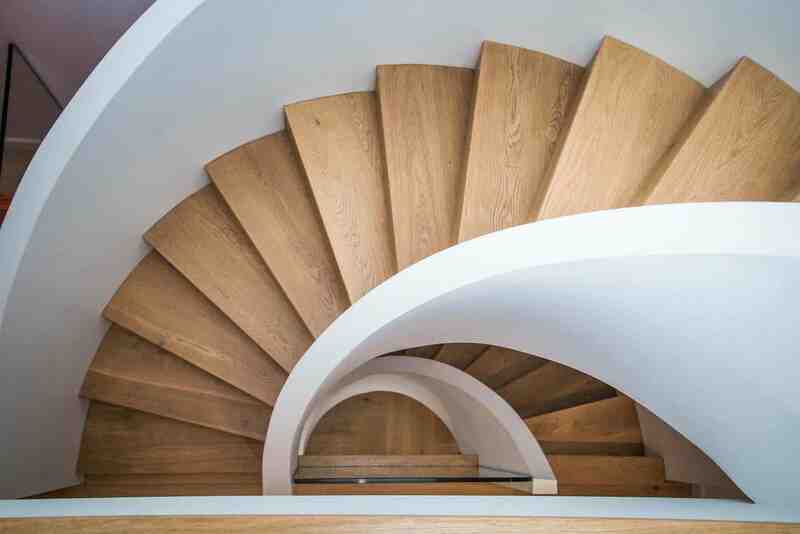 The spiral stair case was designed by Natalie herself who was keen to reflect the curves of the art deco style but with a modern twist. The personal touch is everywhere you look. 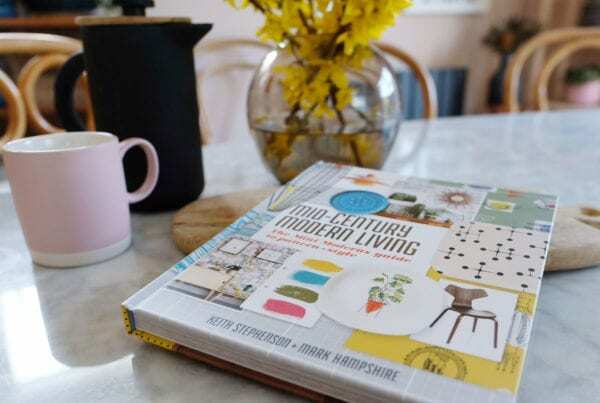 Natalie has collected things that she loves and made them really work in her home. Among some of her favourite items are a set of 1960’s compass chairs which Natalie collected individually by trawling eBay over several years. Natalie has had them reupholstered in a striking orange fabric called Bakerloo by Kirby, which has instant impact in the room. “I get a little obsessed with things” explain Natalie, “I wanted a large gold table but I couldn’t find one, so I bought two smaller ones and put them together”. The kitchen was also custom design by Natalie and Mark and made by a carpenter that she sourced. “Some tradespeople that you find are just brilliant and Jonny was so great to work with” says Natalie. You can see more of Jonny’s work on Instagram @weber_jonny. 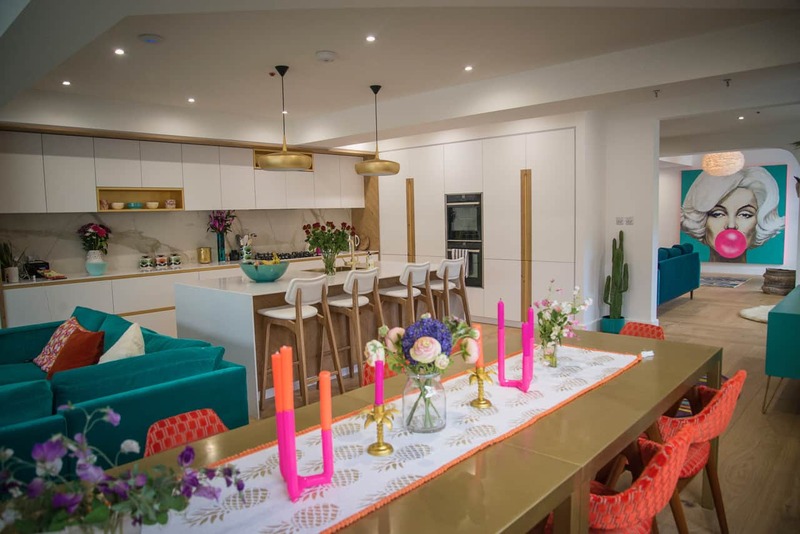 The kitchen is clean and modern with splashes of gold that a reflective of the art deco style. 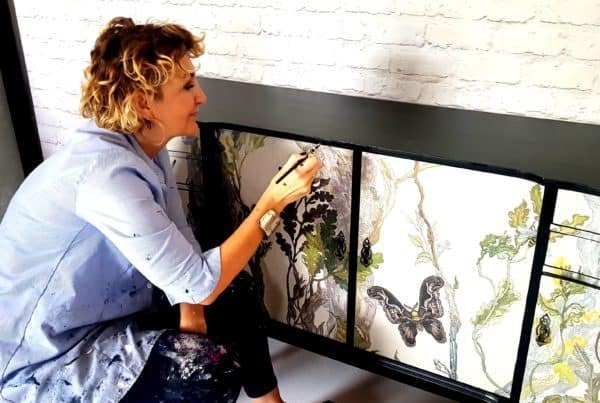 “I wanted to add more and more gold to the kitchen but my husband talked me down, which I think was the right decision in the end”. 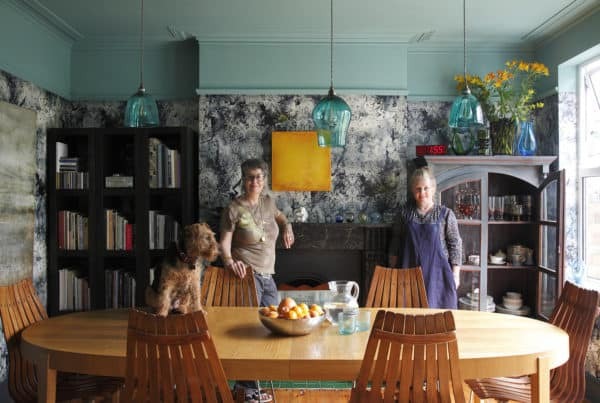 Every accessory, light and furnishing has been sourced with love, and within a budget; “I found a chandelier called the ‘Nimbus Pendant’ from CTA lighting that I really wanted there but it was over £12,000, so I’m still searching for something with the same impact in my budget” Natalie explains. A creative family, art is really important in their home. 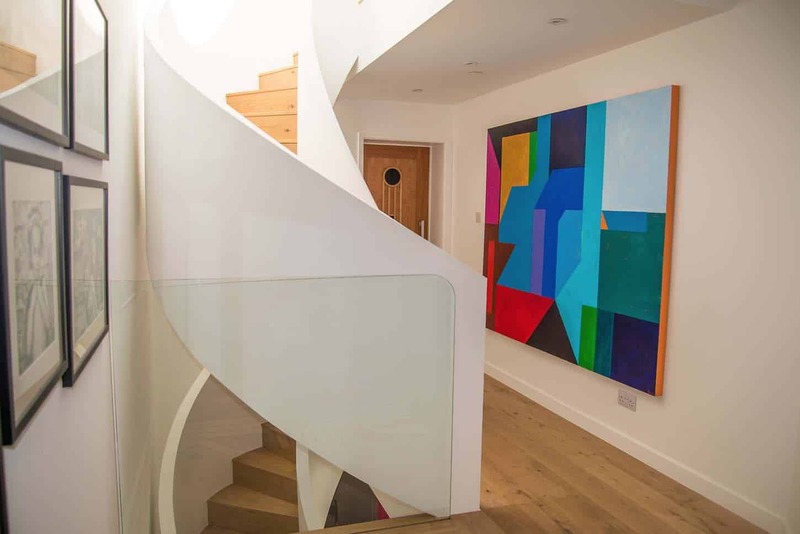 Natalie and Mark commissioned two paintings, the Marilyn Monroe statement piece in the lounge and the abstract piece on the stairs, from artist family friend Ben Winter (@benwinterart). “I knew exactly what I wanted and Ben was great – we love them”. The bedrooms are as unique as the living spaces. 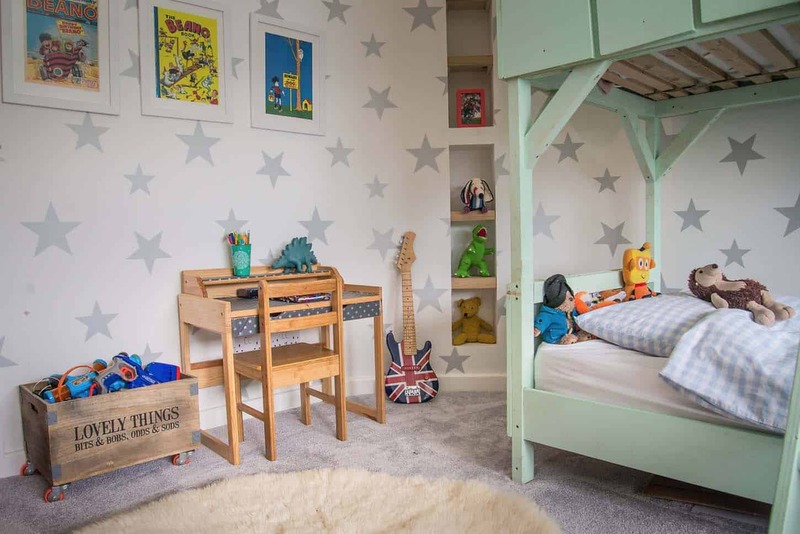 The children’s rooms are full of personality with custom-made beds, chandeliers and colourful accessories. Natalie and Mark’s bedroom features an open-plan ensuite with bath, “we love being able to watch television from the bath!” says Natalie. 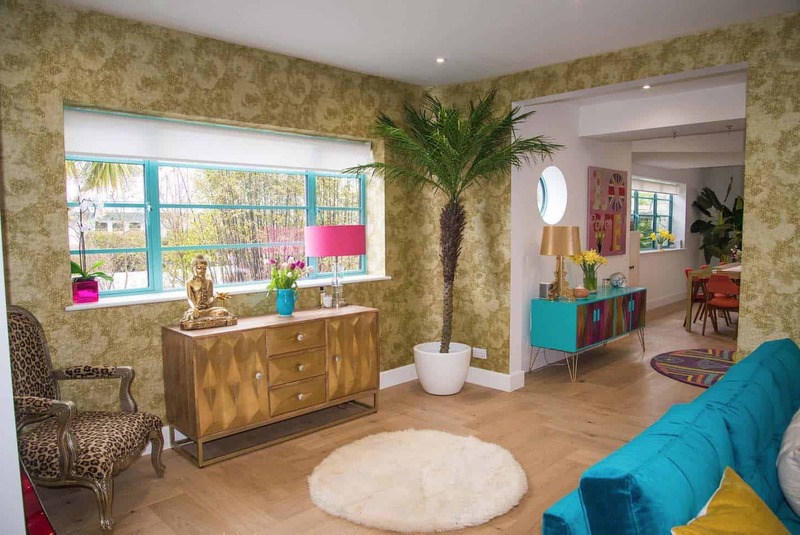 Among the other fabulous accessories in the home are three Matthew Williamson rugs and a stunning teal feather ‘Oahu Fringe’ Pendant from Anthropology. “I also have a thing for capiz shell lights; I think they’re really beautiful”. The bathrooms are sleek, modern and really luxurious. 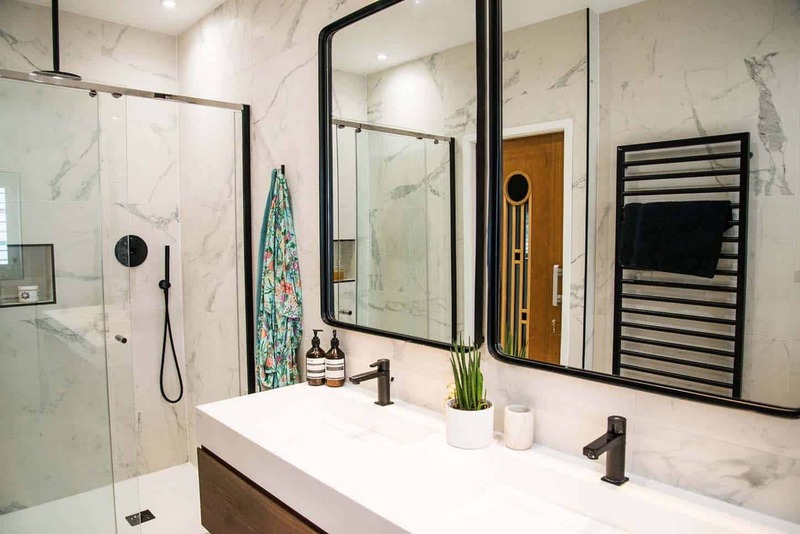 I love the black trim in the bathroom against the marble walls – just stunning. 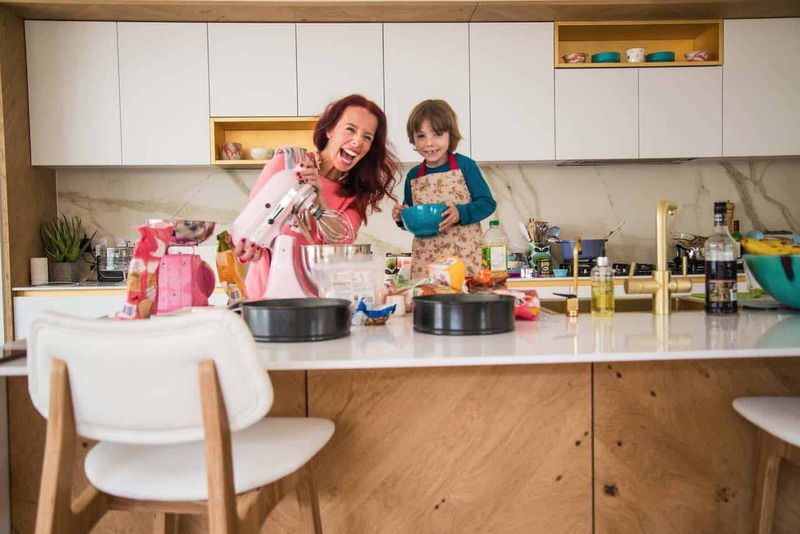 We love Natalie’s fun and colourful home. 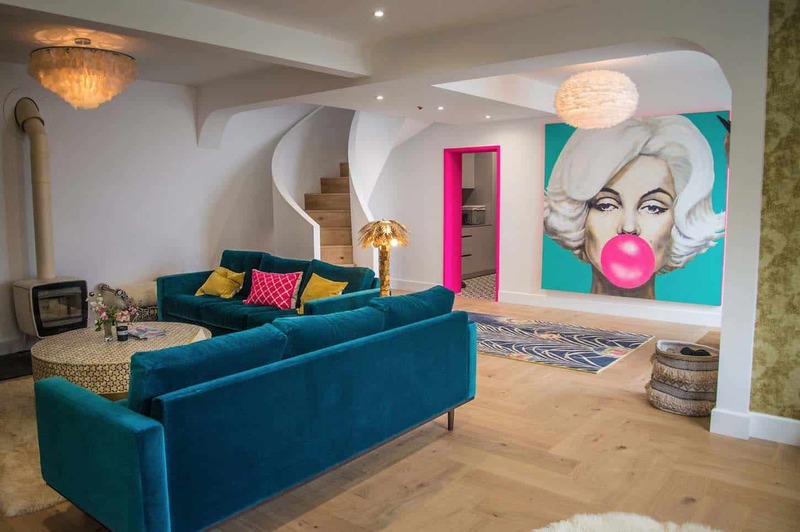 Pouring your personality into your home has to be the way to make it your own, and the outcome is truly spectacular!